With forecasts for growth in air travel ranging from 60% to 100% over the next 20 years, airport operators, airlines and governments face a number of significant challenges. The predominant question is how to cope with the far greater passenger numbers (and airfreight) without doubling the number of airports. There will certainly continue to be new airports built, new runways added to existing airports, plus renovation of terminals to ensure that service standards are maintained but it is not cost effective or practical for a combination of reasons to think that future demand can be met by simply building more airports. So how will this be addressed? Capacity will be increased but not, as said, by doubling the number of airports. Generally, airports are in the right places to meet demand and creating multiple versions of the same infrastructure and human resources is inefficient and creates a drain on the available knowledge and skills-base. Whilst most airports are relatively efficient, they have largely been following the formulae and procedures put in place in the 1950s, 60s and 70s. Yes, operationally as traffic has increased airports have refined their procedures but essentially, they have not evolved to any great degree. Better asset utilisation and understanding of and interaction with passengers are key objectives for many airports operators. There certainly remains a need for strong regulation and security but as businesses and consumers have embraced innovative technologies, especially around mobile and the personalisation of services, the passenger experience has not yet progressed to any great degree. Many businesses and industries have been transformed over the past 5-10 years. Connectivity, the Internet and smartphones have been the catalyst for much of this. However, advances in infrastructure, especially at end-points and with the IoT, generate better data, enable more personalisation of services and allow more context to be added to the user experience. Traditional industries no longer have a lock-down on how their service and/or product is provided, bought or consumed. The Internet has had a major effect on the travel sector, changing how we buy flights, hotels and even airport parking but it all stops at the airport door. We don’t expect to see disruption on the scale of Uber affect the airlines – at least not in the next 10-15 years – but we do believe that the competitive drivers within the sector will see more movement than we have to date. We are approaching an inflection point for the sector. Competition between airlines is not going away and with advances in other areas of (personal) transportation and mass transit this will continue to intensify. Airport operators are competing more than ever to attract passenger traffic and ensure that they can offer the most attractive financial and service proposition to the airlines. Balanced against this they have to be careful to ensure that they maintain or improve their customer satisfaction levels. Costs and pricing can only affect so much of the decision. The passenger experience is now a differentiating factor and as prices have been driven down there is an increasing focus on generating ancillary revenues – both in-flight and on the ground for both airlines and airport operators. We have had mobile apps from airlines for a few years but they are very focused on loyalty and do not go much beyond checking-in and boarding passes in terms of tailoring to individuals. There is little tie in with retail and hospitality, or travelling to and from the airport and parking, car-hire, refreshments, in-flight entertainment and personalised updates. There most certainly is no ability to connect with the airport and ease the biggest pain points of queueing through security and at the boarding gate. Mobile, apps, online, digital and mobile identity, know your customer (KYC) and authenticating identity, biometrics (facial, fingerprint, iris), sensors, beacons, new forms of payment, mobile wallets, NFC and contactless, RFID, Bluetooth, Wi-Fi, intelligent video analytics, big data, new human interface technologies, chatbots, robots and intelligent assistants. These are all existing technologies and progressing rapidly, often happening behind the scenes but affecting how we use services and the decisions that we make. These technologies can be employed within a future smart airport environment, reducing queues, improving the passenger experience, helping operators, airlines and their partners better engage with their customers, understand them and meet their requirements. In turn, this has the upside of better customer service and improved loyalty as well as greater revenue potential, whilst also creating more efficient airports that are better able to meet future demand and capacity requirements. Note: P.A.ID Strategies is partnering with two other analyst firms to provide a detailed analysis of Future Technologies for Smart Airports. Their combined expertise, insight and knowledge will provide the most comprehensive assessments for smart airports. 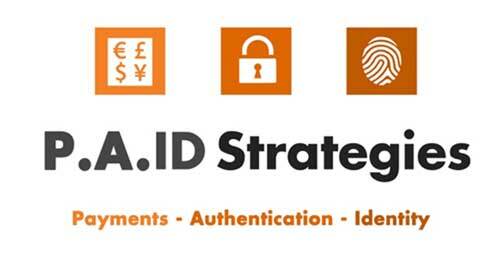 P.A.ID Strategies provides nearly 20 years of experience around mobile, identity, payments, biometrics, NFC, RFID and security. SAR Insight has 20 years of knowledge in the semiconductor sector with expertise in Bluetooth, Wi-Fi, sensors, smart devices and the IoT. Valour Consultancy has over 30 years analyst experience and is the leading provider of market intelligence for in-flight connectivity, in-flight entertainment, cabin technology, connected aircraft and the IoT. Collectively, they are working to develop a new market report entitled “Future Technologies for Smart Airports – creating the digital passenger experience” examining the potential adoption of modern technologies to make airports smarter, more efficient and deliver better service to customers and partners. Please contact John Devlin at info@paidstrategies.com for more information or to take advantage of a 15% discount for advance orders of the report.